Milnerton Cape Town is located to the North of Cape Town and is the closest residential suburb bordering the Atlantic Ocean. It is connected with the city through its main arteries Koeberg Road M5 and the Otto du Plessis Drive R27. Milnerton Beach is popular with kite surfers and windsurfers and the lagoon forming at low tide between Lagoon Beach and Woodbridge Island makes for lovely sea temperatures there in summer time. Especially families love this little lagoon where you also can watch splendid sunsets over the Atlantic Ocean. Milnerton is one of the older suburbs around Cape Town. Already in 1897 it was a little village which connected Cape Town with the rest of the West Coast. A railway line between Cape Town and the suburb helped the village to grow immensely. The pedestrian bridge connecting the beach, a housing estate and some restaurants on Woodbridge Island with the mainland was built in 1901 out of Australian Jarra Wood. It is a National Monument nowadays and was once built for military purposes. 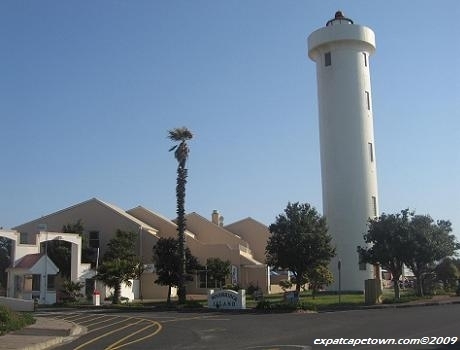 The Milnerton Lighthouse on Woodbridge Island is a prominent landmark on the West Coast and was built in the 1960s. The suburb of the municipality of Milnerton is situated between the Industrial area of the Cape Town Harbour and Paarden Island to the South and the suburb of Blouberg to the North. Milnerton consists of many housing areas which are: Milnerton Proper (the heart of the suburb with many big older houses on bigger grounds and Cambridge Estate, Sanddrift Estate, Summer Greens to the South and East as the older housing estates and Century City, Milnerton Ridge and Royal Ascot along the Cape Town Racecourse are the newer established housing areas. There are plenty of amenties, shopping facilities and public and private schools in the area. To get a more thorough insight here are some figures for you. Shopping: all the major chainstores, numerous shopping centers, and the nearby Canal Walk Shopping Center in Century City. •	Walk around the Milnerton lagoon at low tide and enjoy the amazing views towards Table Mountain and the newly built Greenpoint Stadium. •	Stop for a sundowner at the Milnerton Golf Club House and watch the magical sunset from the terrasse. 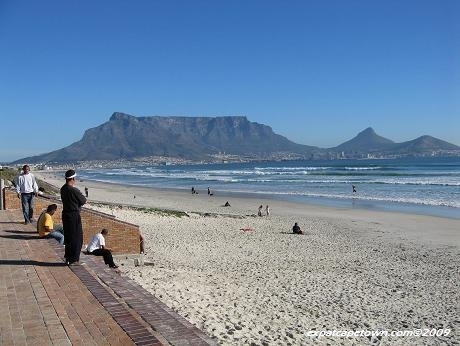 •	Enjoy the seemingly endless Milnerton beach which leads further north to famous Blouberg beach. •	Go birdwatching at nearby Rietvlei Nature Reserve where you can see the beautiful pink flamingoes and huge pelicans or join the Acquatic Club and book sailing, windsurfing and waterskiing classes. •	The model aircraft builders meet at the weekends at lower section of the Rietvlei Vlei as well. The local model plane airstrip is accessible from the R27. Milnerton is experiencing a lot of construction activities and upgrading in the area in the recent years. The lively but still relaxed West Coast town is still near enough to commute to Cape Town and still has a more relaxed atmosphere. The crime rate is comparably low due to many Neighborhood Watch activities and ongoing crime busting initiatives like the installation of many CCTV cameras in Milnerton’s main shopping area, the Centre Point. There are many expats and tourists in this area, where many foreigners feel at home. There are some poorer areas to the East where there is a growing township close to the Marconi Beam and Montague Gardens Industrial areas. The construction on the BRT(Bus Rapid Transport System) seems to be progessing and the implementation of a public transport system connecting Milnerton with the Cape Town City Center will improve the traffic flow noticeably in the near future. The Milnerton Lagoon received quite a face lift in the last five years with a promenade along the hotels and some excellent restaurants and bars at Lagoon Beach. Housing Prices for a 3bedroom House start from ZAR1,200,000. There are also many flats available in the newer estates. Rentals for a 2/3bedroom house average at about R10,000. Shopping: There are many shopping facilities in Milnerton with the Canal Walk in Century City and adjoining Ratanga Junction Funpark being the biggest attraction in the area. However there is Centre Point in Koeberg Road where you can find everything for your basic shopping needs. The newer Sable Sqare Shopping Centre on Bosmansdam Road offers some fabulous factory designer shopping like Adidas, Shoe HQ, Sunglass Warehouse and Whitehouse ( excellent quality towels and bedding at wholesale prices). And parking is free for two hours. The industrial areas around Milnerton Cape Town offer some more great factory shops like the Hi-Tec Shoe Factory Store, the Nut Factory and Plastics for Africa or megashops like Macro and Tradecentre. Smaller hardware stores, garden centers and homeware stores are located here too. The weekend fleamarket along the R27 between Lagoon Beach and Paarden Island attracts tourists as well as locals and you could be lucky to make a real deal with some of the antiquities on offer. Medical Facilities: located in smaller practices as well as there is a 24 hr service pharmacy at Milnerton Medi-clinic which offers first class patient care. Schools: There are various good Primary and High Schools in the area, like the good public schools in Milnerton. For older children there is Abbotts College at Century City and the Cape Town Hotel School at Sable Square. The Jewish Community has got their own school in Milnerton too. Sporting Facilities: Blouberg offers all kinds of sports activities. 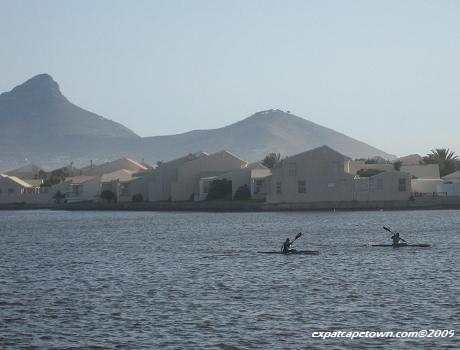 There are naturally the water-based sports activities, like surfing, kitesurfing, sailing and waterskiing at Rietvlei, canooing in the nearby Milnerton Lagoon. In Milnerton Cape Town there is the stunning seaside Sunset Links Golf Course and further up the West Coast the beautiful Melkbos’ Atlantic Beach Golf Course. Besides excellent beach life there are many other sporting facilities in this suburb, the major fitness centers have got branches in Tableview and Parklands, there are soccer clubs, tennis and cricket teams, a bowling club at Woodbridge Island as well as scout groups for outdoor enthusiasts. Transport: There is a lot of construction work been carried out in Milnerton Cape Town, as the major road into Cape Town, the R27 is being upgraded to get another lane for the Integrated Rapid Transport (IRT) System which shall be functional by mid of next year. The IRT System and a cycle lane should improve the peak hour traffic jam substantially. Expat Communities: In Milnerton Cape Town you can find a quite international community with European expats being the biggest foreign communities here. In this Cape Town suburb you will find international delicatessen at the local supermarkets and our favorite German bakery "Le Bon" is located at Koeberg Road next to Centre Point. A British Shop and several Italian importers are in the area. Italians and Portuguese have got their clubhouse in Ruby/Milnerton. The Jewish community has got a private school in Milnerton Cape Town and Japanese classes are taught on Woodbridge Island.